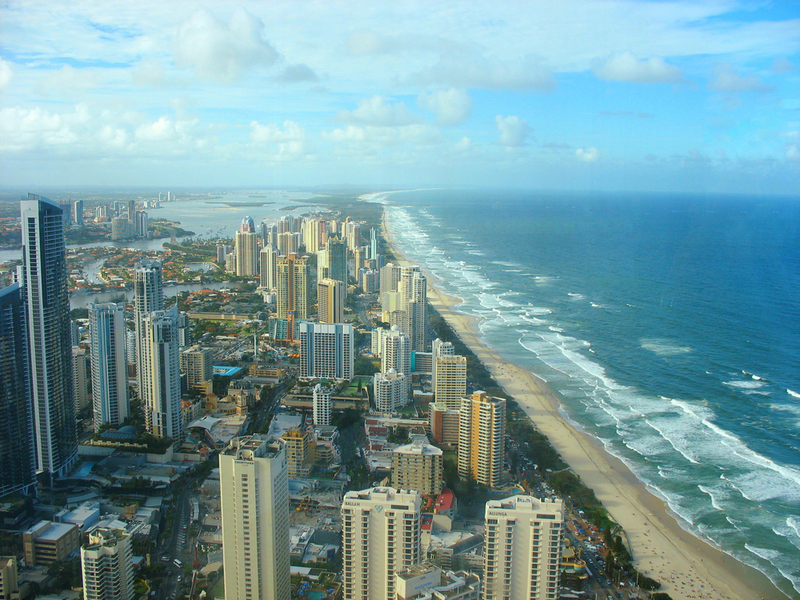 When you are booking your next Gold Coast holiday, you’ll want to choose a central location that provides easy access to all of the sights, activities and attractions of the Gold Coast. The Shore Holiday Apartments offer centrally located Surfers Paradise accommodation staying on the foreshore of Surfers Paradise. Just across the road from the golden sands of the famous Gold Coast shoreline. Our centrally located Surfers Paradise accommodation is just a short walk (3 blocks) into Cavill Ave and the centre of Surfers Paradise. There you’ll find great cafes, restaurants, bars and attractions like Timezone, Glow in the dark bowling, Ripley’s Believe it or Not and much more. Located just a 100 metre walk to a Gold Coast Light Rail station and with a bus stop on our back boundary getting around the Gold Coast is easy! If you have a car you’ll also appreciate our FREE undercover parking. Book now and enjoy centrally located Surfers Paradise Accommodation staying at The Shore Holiday Apartments on the Gold Coast.